Order your ADJ 64 LED Pro Par Can Stage Light from AMS and enjoy 0% Interest Payment Plans, Free Shipping, Free Extended Warranty & 45 Day Money Back Guarantee. 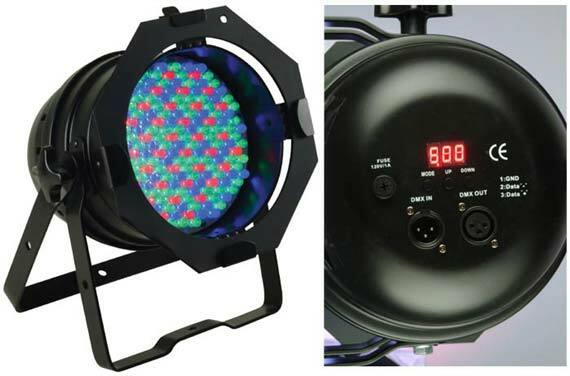 Whether you are in a band, part of a stage performance or just want to add color washes to a lighting installation, the American DJ 64 LED Pro Stage Light is the perfect solution to brilliantly light up any stage. 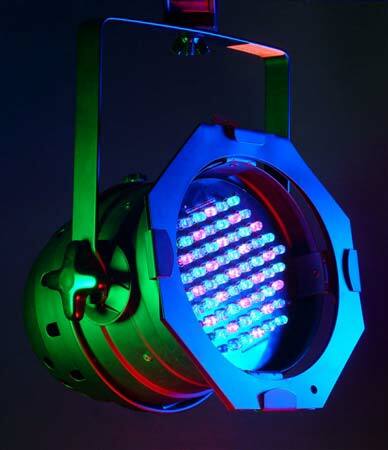 The 64 LED par can is equipped with 181, 10mm LEDs for an ultra bright punch and features DMX-512 and LED Sync which automatically syncs operation modes with other American DJ products that have LED Sync. American DJ LED products are energy conscience consuming very little power. 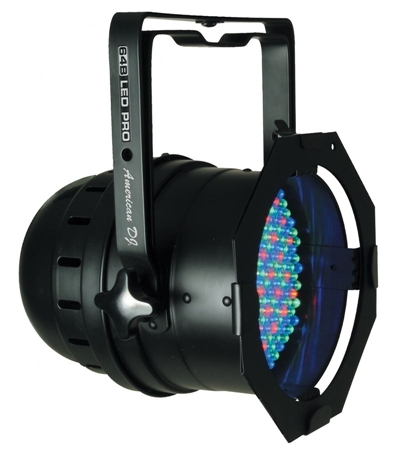 The 64 LED par cans are also performer friendly because they emit almost no heat onto the stage. I have bought about 20 of these... the LEDs go out frequently. You're better off buying the $300 lights- if they last longer.